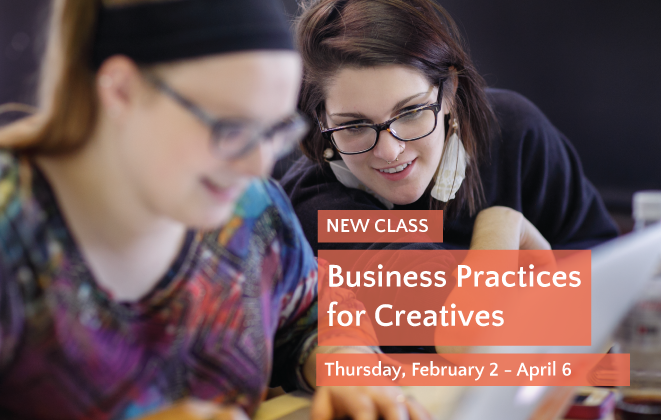 Pennsylvania College of Art & Design is offering a new Continuing Education Class this winter, Business Practices for Creatives, which will be held Thursday evenings, February 2 - April 6, 6 p.m. - 9 p.m. Taught by Jim Castanzo, a creative director and partner at Godfrey Advertising, this course is tailored to professionals in the creative industry including designers, illustrators, writers, artists, makers, and craftspeople who wish to understand the necessary steps in starting and running their business. Class lectures and discussions will include: writing and executing a business and marketing plan, branding their business, self-promotion using social media and online portfolio sites, presentation theory, types of portfolios, taxes and legal issues related to self-employment, basic business procedures (finding work, negotiating project specifications, contracts, agreements and getting paid), setting up a home studio/equipment/hardware-software, and how to interview. Smartphone Photography Tricks for Social Media, Wednesday, March 1, 9 a.m. - 12 p.m.
Online Video: YouTube, Facebook Live & more, Saturday, March 4, 9 a.m. - 12 p.m. The Pennsylvania College of Art & Design’s continuing education department allows students of all ages to enjoy the result of PCA&D’s 32 years in professional art and design education. With art classes for kids, teens, and adults being small in size and big on substance, students are enriching their lives with creativity and developing practical skills.